Arrive in Hong Kong. Proceed to Shenzhen – situated immediately north of Hong Kong by Jet foil. Evening free for shopping. Visit Window of the world theme park. Enjoy Tram ride, see Eiffel tower by elevator (Subject to operation) and other miniatures of the world. Visit Splendid China by tram – It is the world's largest and most comprehensive miniature park, reproducing nearly 100 famous tourist attractions in China. In the evening enjoy cultural show. Proceed to Hong Kong by coach. 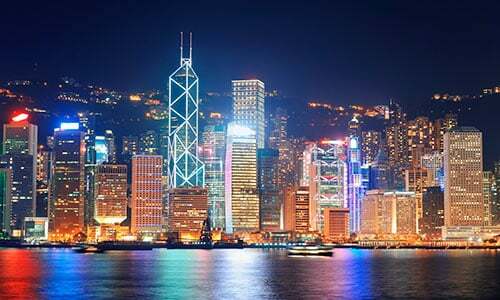 On arrival enjoy city tour includes pass by Harbour tunnel, Repulse Bay, Visit Victoria Peak & enjoy Tram Ride, entry to Madame Tussaud's wax museum. Experience the magic of excitement and entertainment at Disney land. Visit Tomorrow Land, Fantasy Land, Adventure Land and Main Street U.S.A. Enjoy 'Festival of the Lion King' - a virtual explosion of Colours, music and amazing talent. Experience the magical 3-D adventure at 'Mickey's Philhar Magic', Mickey show, its a Hyper Space Mountain ride. Enjoy Disney Parade and fire show at Disney land. Enjoy the exciting day at Ocean Park, which is a marine mammal park, oceanarium, animal theme park and amusement. Enjoy the rides like Artic Blast, Crazy Galleon, Hair Raiser, The Dragon, The Rapids etc. Free time for shopping at Ladies Market – popular among for fashion lovers – clothing, bags, accessories, toys, cosmetics. Take a jet foil to Macau. On arrival city tour of Macau includes the Ruins of St. Paul's Cathedral, Penha Hill, A- Ma' temple and pass by Goddess of Mercy statue. Enjoy the panoramic view of the Macau city scape and the Pearl River from Tower observatory deck. Visit world famous Casino of Macau at – The Venetian. Stay in the luxurious hotel – The Venetian. Take a jet foil to Hong Kong airport. Board your flight to hometown. Tour concludes.